Fordham Prep, in concert with other Jesuit high schools from New York, New Jersey and Connecticut, started the annual Thanksgiving food drives to raise awareness of hunger in our communities while filling local food banks and pantries with tens of thousands of pounds of much-needed provisions for needy families. 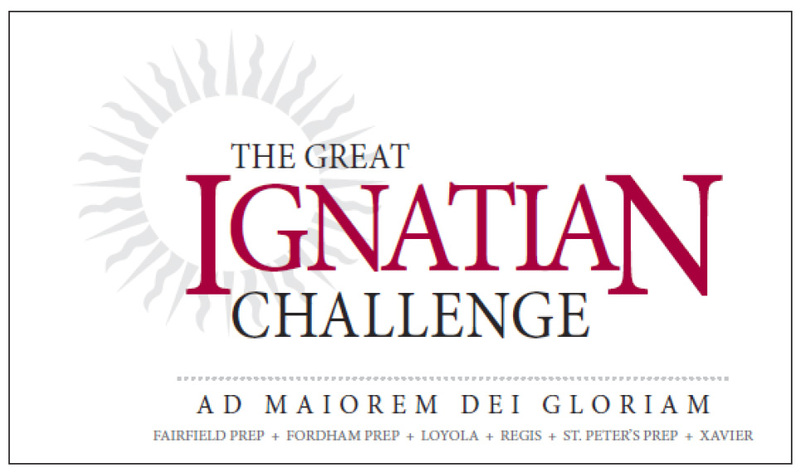 This friendly but spirited competition, called The Great Ignatian Challenge, runs from October 22 to November 19, 2018. This is the third year of the Challenge. Over the past two years, the schools have collected over 95 tons of food. A donor who was inspired by the existing Thanksgiving food drives at each school has pledged up to $250,000 for tuition assistance at the participating schools, and has challenged donors from each school to take part in the Challenge. Intended to further highlight the spirit of giving and generosity among the student bodies at Jesuit high schools in New York, New Jersey and Connecticut, the donation will be divided among the schools based on the amount of food collected per student. This year, The Society of the Friendly Sons of St. Patrick in the City of New York added their support, contributing an additional $20,000 towards the challenge. Participants besides the Prep include Fairfield College Preparatory School (Fairfield, CT), Loyola School (Manhattan), Regis High School (Manhattan), Saint Peter’s Prep (Jersey City, NJ) and Xavier High School (Manhattan). The event is sponsored by the USA Northeast Province of the Society of Jesus (The Jesuits) and collected and distributed over 102,000 pounds of food in 2017's challenge. A key component of a Jesuit education is caring for the wider community which allows students to gain first-hand knowledge of local, national and global issues. Through service to the community, the students prepare for the day when they will participate in their world as competent, concerned and responsible members who are committed to social justice.